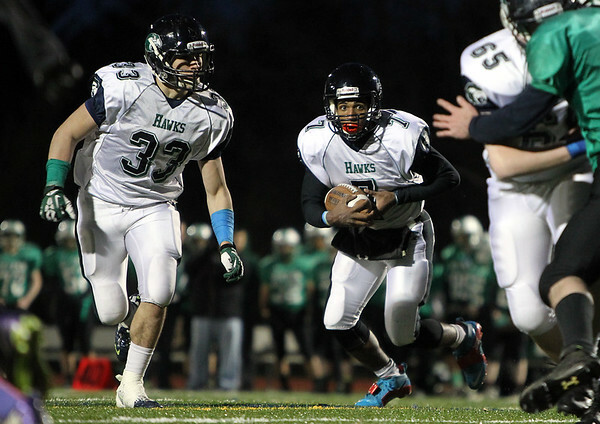 Essex Tech senior quarterback Yordany Sanchez (7) uses a block from fellow senior running back Daniel Bailey (33) to set up a Hawks touchdown run on Thursday evening. DAVID LE/Staff photo. 12/4/14.